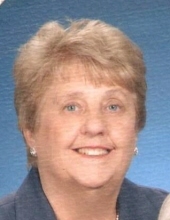 Dolores Ann Giles Lorenz, 85, Kansas City, died peacefully Saturday, March 30. She was born August 16, 1933 to Orville and Stella (Wisneski) Giles in Saint Joseph, Missouri. She married Thomas “Tom” Lorenz on November 8, 1958. She was devoted to her Catholic faith, working at St. Pious X High School and was a founding member of the Holy Family Catholic Church. She was proceeded in death by her parents; husband; and brother, James “Jim” Giles; and sisters Marilyn “Susie” Gilchrist and Betty Saverino. Survivors include: son, Stephen and Julie; two granddaughters, Maeve and Gabrielle; brothers William Giles (Joan) and Richard Giles (Maureen); and sisters Dorothy Kretzer and Margie Mahlandt (Harry); and numerous nieces and nephews. Mass of Christian Burial will be Saturday, April 6 at 10:00 am at Holy Family Catholic Church 919 NE 96th Street, Kansas City, MO, interment in Resurrection Cemetery, directly following the Mass. The family will receive friends from 9:00 am until 10:00 am at Holy Family Catholic Church on Saturday, April 6. For those wishing to make a contribution, the family requests they be made to Holy Family Catholic Church Building Fund. To send flowers or a remembrance gift to the family of Dolores Ann Lorenz, please visit our Tribute Store. "Email Address" would like to share the life celebration of Dolores Ann Lorenz. Click on the "link" to go to share a favorite memory or leave a condolence message for the family.